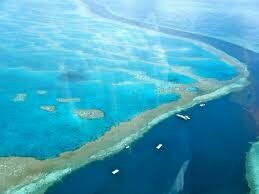 The Great Barrier Reef is blessed with the breathtaking beauty of the world’s largest coral reef. The reef contains an abundance of marine life and comprises of over 3000 individual reef systems. Visitors to the Great Barrier Reef can enjoy many experiences including snorkeling, scuba diving, aircraft or helicopter tours. The Great Barrier Reef is one of the seven wonders of the natural world, and pulling away from it, and viewing it from a greater distance, you can understand why. It is larger than the Great Wall of China and the only living thing on earth visible from space. Coral Sea Bungalow, 500 per night.